UPDATE: It has been announced that Mr Ji was murdered at Camp Crane, the national police headquarters in Manila. According to reports, he was strangled just yards away from chief of police dela Rosa’s office. Read update on this developing story here. South Korean authorities have confirmed today (Wednesday, January 18) that a businessman who went missing in Angeles City last year was kidnapped and killed by rogue police officers. 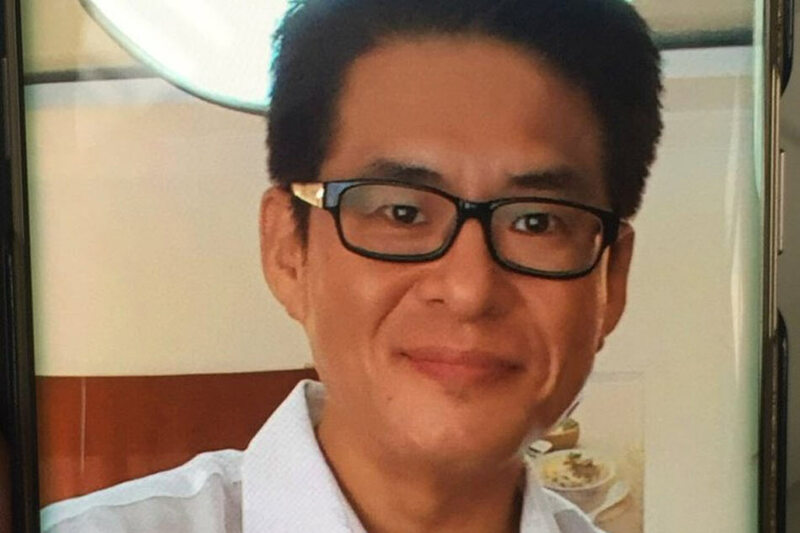 Three serving officers and a former policeman were involved in the kidnapping and murder of Ji Ick Joo, the country’s Foreign Ministry has said. The case has raised fresh fears that corrupt cops are exploiting the apparent immunity they enjoy in the war on drugs to enrich themselves. According the findings of a criminal investigation, shared with the South Korean government, Ji was strangled to death on the same day of his abduction. The victim’s body was then disposed of at a crematorium operated by a former police officer. The National Bureau of Investigation (NBI) is now questioning workers at the funeral home where Ji’s body was allegedly burned to ashes on October 19. It is believed that these were then flushed down a toilet. NBI assistant regional director Roel Bolivar confirmed yesterday that Ji was dead, based on evidence found at the funeral parlour in Bagbagin, Caloocan City. One of the police officers accused of kidnapping Ji has surrendered to the National Bureau of Investigation (NBI). Philippines National Police (PNP) chief Ronald dela Rosa said SPO3 Ricky Sta. Isabel sought voluntary protective custody at the NBI on Monday. He said that Sta. Isabel had a senior “protector”, but declined to name any names. It is believed the kidnappers used a fake arrest warrant in order to force Ji, a senior executive in ship-building firm Hanjin, to come with them, under the pretext of a drug-related investigation. ALSO READ: Deerhurst: Who are you kidding Bato? Or are you really Superman? The victim’s wife was then hit with a ransom demand. She has told investigators that she paid five million pesos ($100,000), but the kidnappers demanded another 4.5 million. Concerns are growing Filipino police are taking advantage of the perceived impunity they enjoy due President Duterte’s bullish pronouncements on the war on drugs and the so-called “Project Tokhang” — door knocking drugs suspects. Now, senator Panfilo Lacson has filed a resolution calling for a Senate probe on the increasing reports of “tokhang for ransom”. Lacson, a former chief of the PNP, filed Senate Resolution No. 265 directing the Senate committee on public order and dangerous drugs, which he chairs, to launch a probe into the incidents. “Considering the criticisms being thrown at the PNP in the implementation of its Project Tokhang, its leadership should show strong resolve in dealing with its members who engage in ‘hulidap’ and kidnap-extortion,” Lacson said in his resolution. ALSO READ: Malacañang says critical peace report may have "political slant"
Senator Lacson has previously described how one of his friends, a Chinese-Filipino businessman, was also a victim of the racket. Lacson said he personally interceded by “literally pleading” with the businessman’s family to cooperate fully. “Through cooperation with the victim’s family, the PNP was able to monitor the payment of ransom money which resulted to the apprehension of all suspects appearing to have been led by a police chief inspector,” the senator said. South Korean foreign ministry spokesman Cho June-hyuck said the case “poses concerns to the safety of South Koreans” in the Philippines. More than one million South Koreans visit the Philippines every year. Nearly 50 have been killed in the country since 2012. This is what happens when a lunatic dictator says his cops will never be imprisoned for anything. Duterte is giving cops & the military more money & more power. He wants their support for his upcoming martial law.